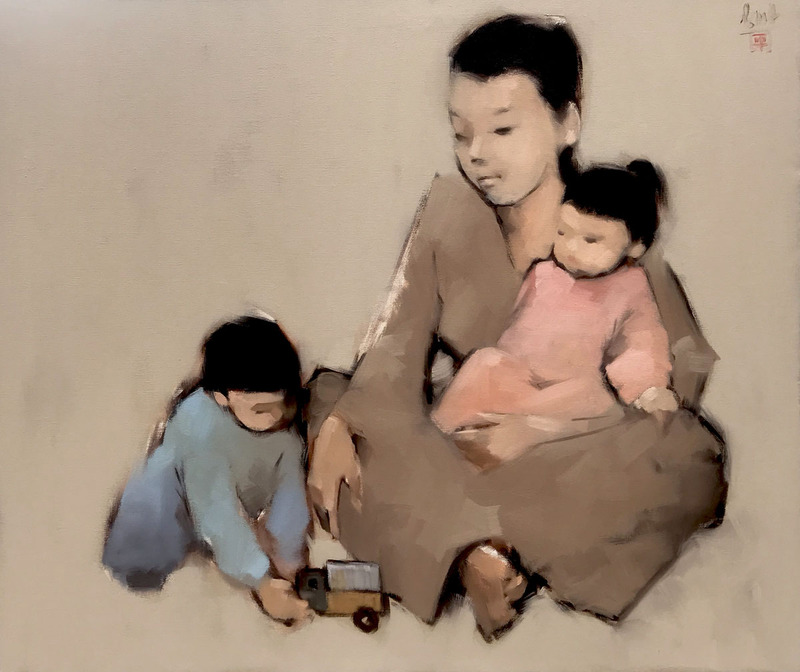 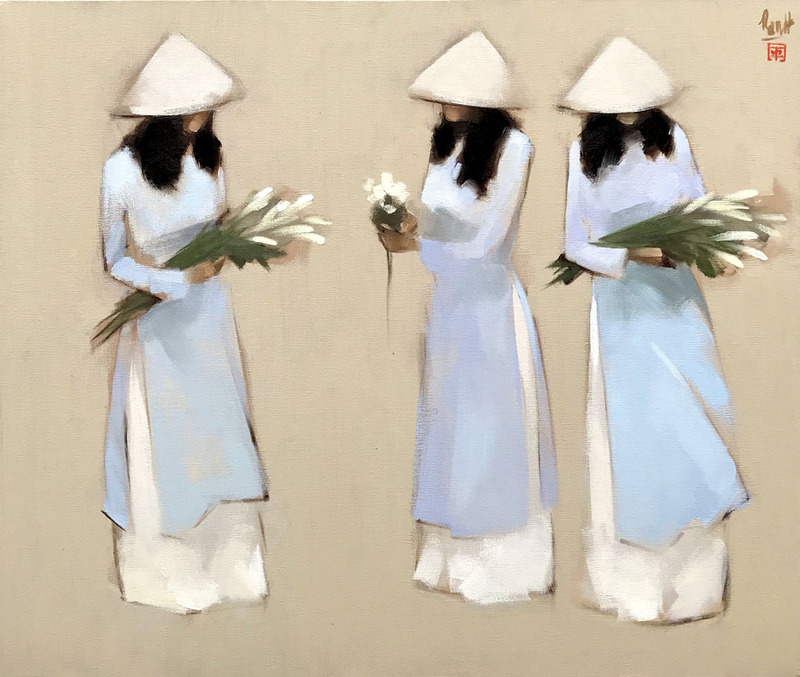 This painting of the Asian Madonna is one of those canvases by contemporary Asian artist Nguyen Thanh Binh that touches our souls with its melting tenderness and sincerity. 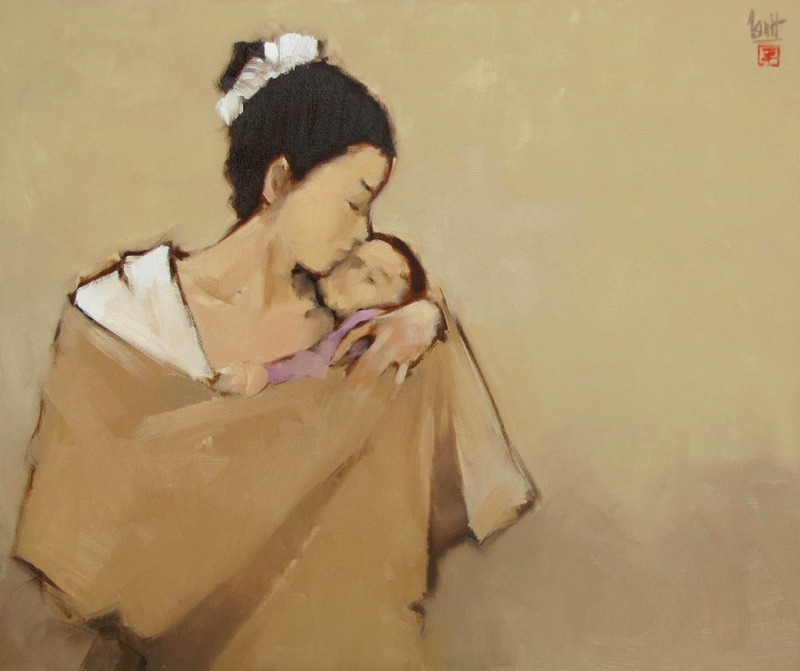 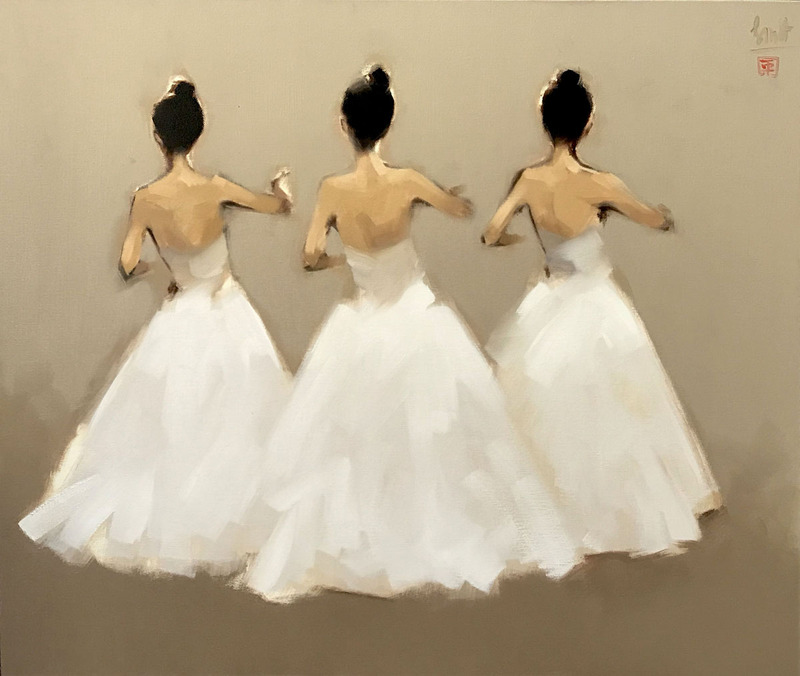 The feelings are enhanced by the confident brushwork and the warm, almost monochrome coloring. 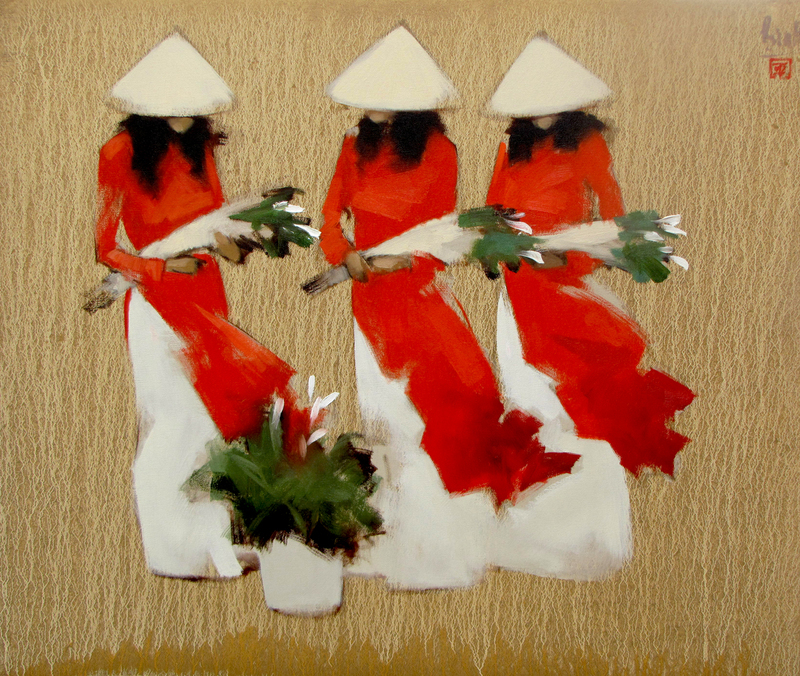 The artist is a true magician bringing to life a universal feeling with easy simple lines.